Lawrence Abell & Associates LTD is your number one Architect source for the planning and construction of commercial and residential properties in La Plata, MD. We’ve been providing high quality engineering and Architect services for our clients since 1998, and we’re proud to continue the tradition of excellence that our customers have come to revere. Learn more about our Architectural Services today! 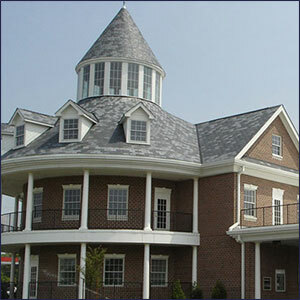 When it comes to Architectural Design in La Plata, MD, Lawrence Abell & Associates LTD is second to none. Our traditionally trained experts are fully experienced in handling every step of the architectural process. From the Architect planning process to the construction period, we do it all to ensure the proper execution of your residential or commercial facility. Whether you’re looking to have a new home, residential facility, church or fire station built, we’ll be there to work with you every step of the way. As a proud member of the American Institute of Architects and the American Institute of Certified Planners, we are truly committed to the success of each and every Architect project that we do. We plan and construct any number of buildings, from homes to corporate offices. We serve clients in La Plata and the surrounding areas, up to 500 miles away. We are a member of the American Institute of Architects. We are a member of the American Institute of Certified Planners. We are a member of the National Fire Protection Association. We can help design or build a custom home, business, or religious facility for you regardless of where you live in Maryland! We serve throughout including La Plata, Baltimore, Columbia, Germantown, Waldorf, Frederick, Dundalk, Rockville, and everywhere in-between!